Procurement organizations in most industries have been investing “supplier compliance” in CSR/ESG/sustainability, regulatory and other risk related issues. However, once they get several years into a responsible procurement program, many find they are passing the point of diminishing returns with a “compliance” based approach. Risk management devolves into an ever-expanding tactical exercise of re-evaluating the same risks. It can be like a revolving door. Supply chain risk management devolves into an ever-expanding tactical exercise of re-evaluating the same risks. It can be like a revolving door. 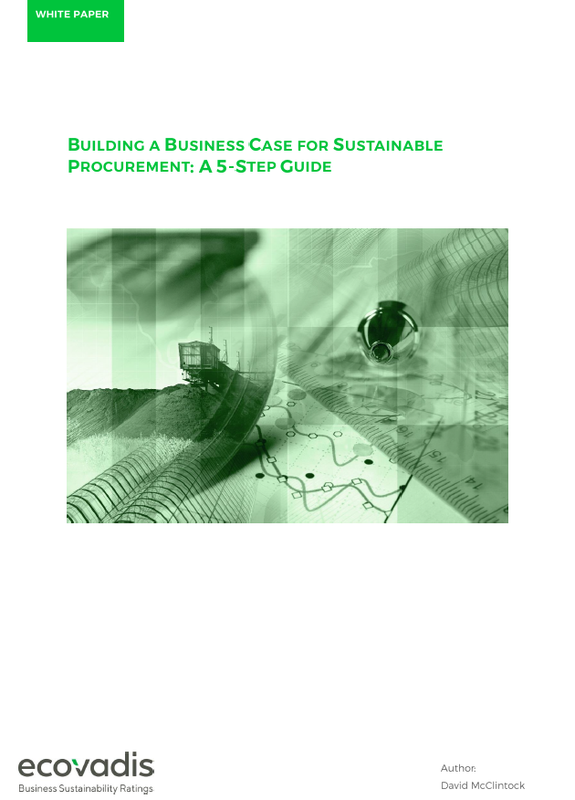 This paper examines the best practices of procurement organizations who have turned the corner toward value creation by rethinking their sustainable procurement programs entirely. Five key elements emerge that have enabled these leaders to shift the focus of their programs to a performance mindset that engages suppliers in long term sustainable procurement value. Starting with the first “strategy alignment” phase and continuing through to phase five, “innovating together”, these companies are reaping the rewards not only in risk reduction, brand enhancement and new revenue growth, but also in improving their total impact on the planet and the communities they touch. Risk management is part of the job, but companies embarking on Sustainable Supply Chain are realizing that the compliance approach often doesn’t address the root causes, thus problems keep re-occurring. They typically spend a lot of money on auditing and chasing under-performing suppliers. They have a hard time measuring the impact on the bottom line or seeing lasting progress taking place in the action plans. As Nike put it, “The suppliers ‘yo-yo’ in and out of compliance”. The first in a three-part series on Supply Chain Risk: "The irresistible allure to seek lower costs continues to push procurement teams to globalize supply chains ever further. Meanwhile stakeholder scrutiny is increasing, laws and regulations are proliferating globally, and natural and man-made disasters continue to occur. This potent mix exposes companies to a diverse set of supply chain risks.Where are the supplier chain risks and how are the manifesting themselves? How are companies responding?" We have offices in France, United States, United Kingdom, Germany, Poland, Canada, Tunisia, Mauritius, Japan and Hong Kong.